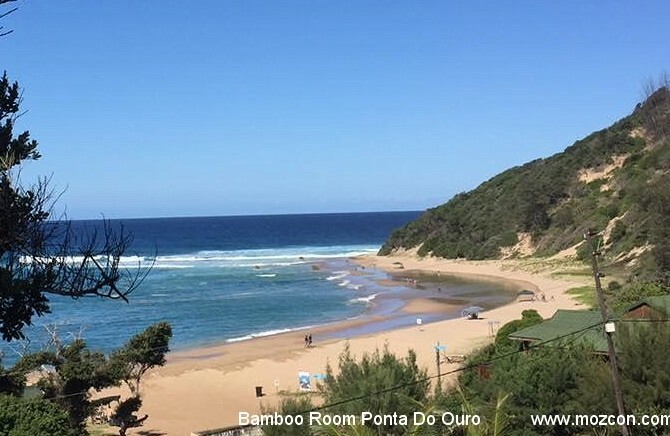 Ocean View Cabanas in Ponta do Ouro Mozambique - you will find luxury wooden cabins and brick chalets, only walking distance from the beach with a panoramic sea view. 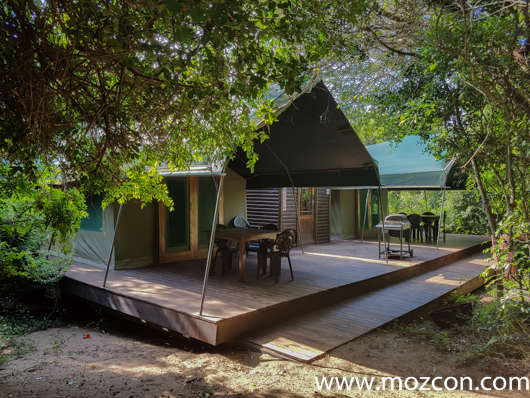 The 4 self catering Cabanas are set on the dune over looking the beach. 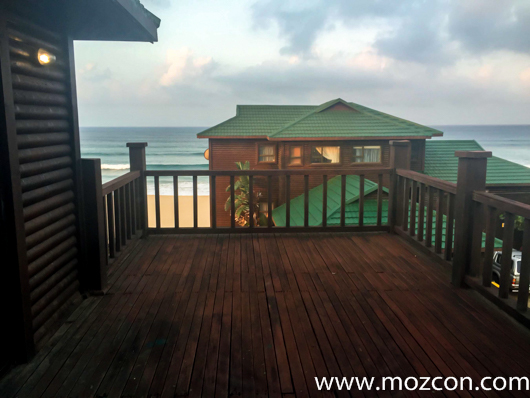 Chalet 1 - (5-6 Sleeper): 2 x Bedrooms. Bedroom 1 - Double bed, (Aircon). 1 Single bed in living area. An additional bed can be added on top of the one in the lounge to make it into a bunk bed for a 6th person. 1 x Bathroom (corner bath) separate Toilet. 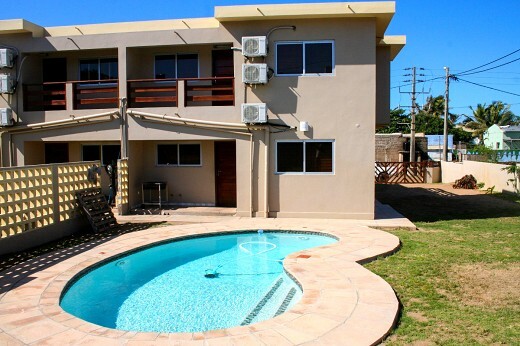 Family room with TV / DSTV / DVD (bring own DSTV smart card), Braai deck with charcoal braai, Table and chairs on deck. 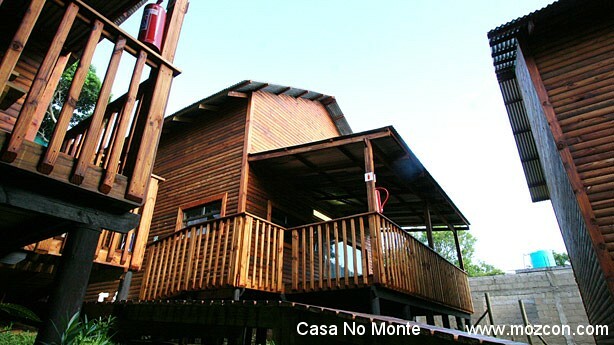 Chalet 2 - (5-6 Sleeper): 2 x Bedrooms. Aircon in main bedroom only. Please provide own beach and bath towels. 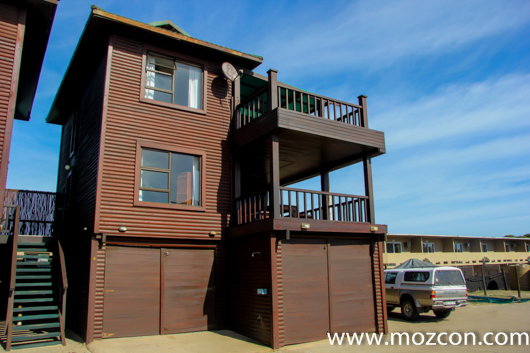 Chalet 3 - 2 Bedrooms - Sleeps 8. Bedroom 1 - Upstairs bedroom has 1 x Double bed, there is 2 x Single beds in family room. Bedroom 2 - Downstairs bedroom has 1 x Double & 1 x Bunk bed in the same room with en-suite bathroom. 2 x Bathrooms total (Shower, Basin & Toilet). 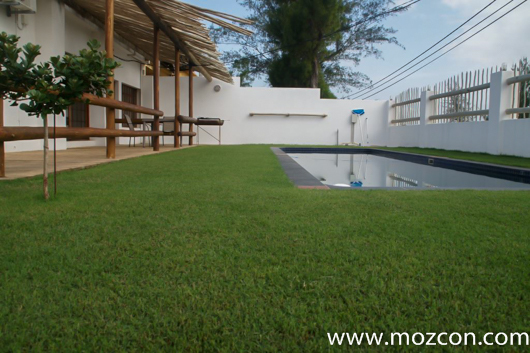 Fully equipped Kitchen(4 plate gas stove & oven). 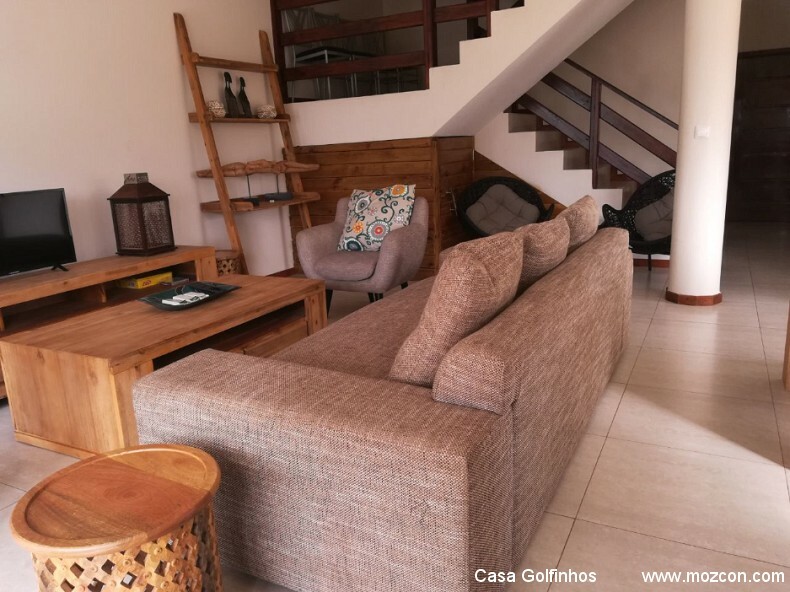 Family room with TV/ DSTV /DVD (bring own DSTV smart card). Braai deck with charcoal braai, Table and chairs on deck. Chalet 4 (4 Sleeper): 1 x Bedroom. Bedroom 1 - 1 x Double bed and 2 x Single beds in family room - air-con. 1 x Bathroom (Shower, Basin & Toilet). Family room with TV / DSTV / DVD (please supply own DSTV smart card and decoder). Braai deck with charcoal braai. Table and chairs on deck. Aircon in main bedroom only . Free entry to beach facilities Double parking space Sea view. REMEMBER: OWN DSTV SMART CARD AND DECODER! Please provide own beach and bath towels.